We’re celebrating the end of the Winter enrichment session with a play date at Bellingham’s newest park! 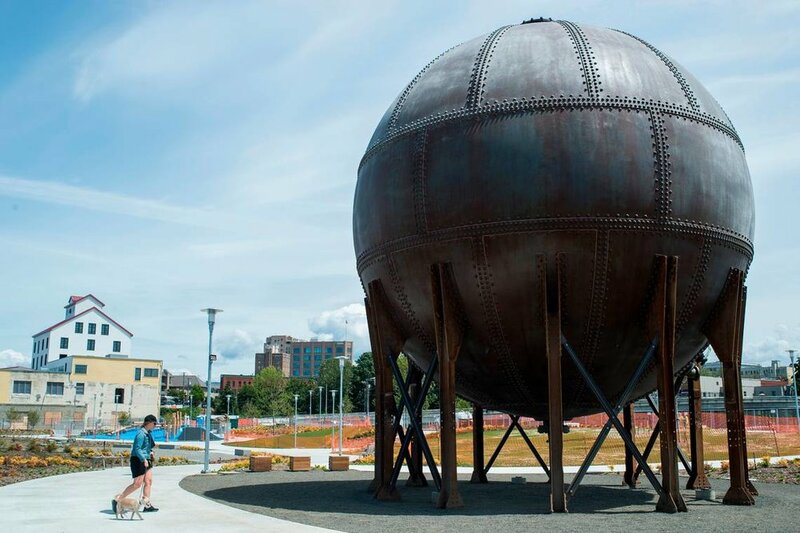 Explore the waterfront, the acid ball sculpture, and some materials-based installations (weather dependent) at Waypoint Park! Parking is available on Granary Ave, or 4 blocks away in the downtown parkade. This FREE event is suitable for children 2-8 with a caregiver. We are extending an extra special welcome to kids who participated in Play Lab winter enrichment at their elementary school, along with their families and friends. All are welcome. Play Lab teachers will be on site to play, and to talk about the exciting opportunities a park like this brings for children in our community. Please Note: This is a drop-in program, not a drop-off program. Caregivers must stay with their children. Play Lab is popping up at the Bellingham Children’s Film Festival, March 9-10! Enjoy free drop-in play before or after your movie. We’ll be exploring some of our favorite open-ended materials! This event is appropriate for 2-8 year olds with a caregiver. We want to celebrate our after school enrichment programs that begin in January at Columbia, Sunnyland, Happy Valley, and Lowell! Drop in for hands-on, exploratory play with materials to help us kick off winter Play Lab programming! Kids and families are welcome to play and explore with some of our favorite materials, including cardboard and play dough! Stay for a few minutes or stay the whole time - we are excited to play with you and tell you more about what Play Lab is offering in 2019. Suggested donation of $5/child goes towards Play Lab scholarships for our winter and spring semesters. Payable by cash, card, or check at the door. This event is for 5-8 year olds (and their siblings). RSVP on Facebook, and make sure you are on our mailing list, too!